Highest Position : 4 ..... or maybe No.1 ... see story below in the detail ! Detail : George's third album release, and first triple L.P. box set, and most importantly, first album chart entry. featured orchestral arrangements by John Barham. As well as singing all lead vocals, George multi-tracked his own voice to create all the backing vocals, comicly naming the resultant "choir" on the album as "The George O'Hara-Smith Singers". The album was a monumental work for George that attracted some legendary players to the sessions that officially began on May 26th 1970. Beatles drummer Ringo Starr was George's only former bandmate to attend, along with Apple artist Billy Preston on organ, long-time Beatles collaborator Klaus Voorman on bass, Apple group Badfinger, Bob Dylan, Eric Clapton and an uncredited appearance by a teenaged Phil Collins. Although Clapton's work went uncredited on U.K. editions of the boxed set for contractual reasons, his name did appear on the U.S. version and is rightfully restored worldwide on the anniversary edition C.D. The other point of interest with Eric is that "All Things Must Pass" has the recording debut of "Derek and the Dominoes", as all the group appear together (Clapton, Whitlock, Radle and Gordon). Phil Collins, who would unofficially join the band Genesis in September 1970, allegedly plays congas on "The Art Of Dying" according to Harrison's recollections thirty years later. 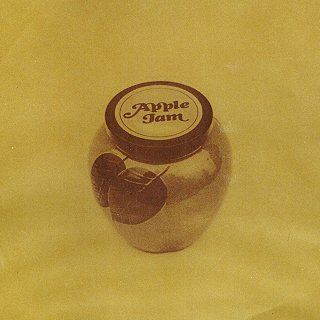 "All Things Must Pass" is also unique for the all-star "Apple Jam" that occupied both sides of the third LP in the boxed set. 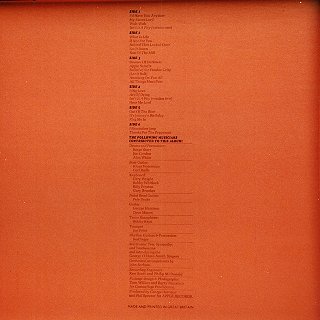 Consisting of five tracks that were recorded during the course of the album sessions, they were sequenced to accommodate the time-lengths of the vinyl sides. This original release is a triple L.P. which sold for £4:19s:6d which was double the normal single L.P. price. It comes with a huge poster of George (36" x 24"), and each inner sleeve is in a different colour, each containing the lyrics. Record 1 is lilac, record 2 is tawny, and record 3 is mustard. On 26th December 1970 the album entered the chart at number 13, eventually peaking at no.4 on 30th January where it stayed for five weeks. It's full chart run: 13-13-5-5-13-4-4-4-4-4-9-9-9-9-18-19-24-35-out-28-21-out-36-32 (on 19th June), then not seen in charts after that. Allegedly in 2006 the official chart company found data that showed the album hit number 1 for 8 weeks. The error was said to be due to a postal strike in Britain during February and March of 1971, when the national chart compiler failed to receive any sales data from retailers. So in July 2006, the Official UK Charts Company changed its records to show that All Things Must Pass was the top-selling album throughout that time. BUT …. the charts ….. AT THE TIME … did not ever show the album at number one and that's what we were living through in 1971. Much as JPGR would love to record All Things Must Pass as a number 1 album .... JPGR is sticking to the facts as they were at the time. Bridge Over Troubled Water kept a LOT of great albums off of the number one slot from January to April. 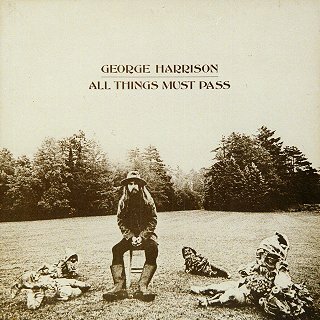 "All Things Must Pass" has sold more than three million copies worldwide. "Everybody, Nobody", "Window Window", "Beautiful Girl", "Tell Me What Has Happened To You", "Nowhere To Go", "Cosmic Empire", "Mother Divine", "I Don't Want To Do It", "Gopala Krishna", "Going Down To Golders Green", "I live For You", and "Dehra Dun"
"Beautiful Girl" was saved until 1976 for his "33 1/3" album. "I Don't Want To Do It" saved for 15 years, and used on the film soundtrack for "Porkys Revenge". "Dehra Dun", written in India in 1968, and saved for 25 years after this album ! Bootlegs of "All Things Must Pass" Sessions. A True Legend - Many outstanding outtakes. Beware Of ABKCO! - Acoustic outtakes. Songs For Patti - Another good quality outtake selection. My Sweet Lord Harrison George's first solo single, and the first number 1 by a solo ex-Fab. What Is Life Harrison Actually written for Billy Preston whilst on his way to Olympic Studios, London where George was producing his album "Encouraging Words". But Billy never recorded the song. George's second solo single in the States, but not released here. See What Is Life for full detail of George's release. If Not For You Dylan Dylan's song from his "New Morning" album. 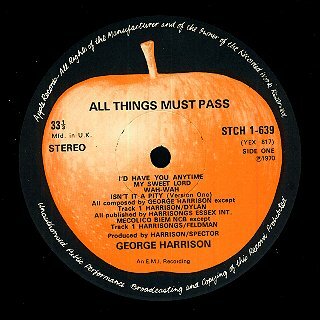 It's Johnny's Birthday Harrison Recorded by George and Ringo in August 1970, this was "presented" to John on his 30th Birthday on October 9th 1970. STCH 639 - with poster and inner sleeves including lyrics is worth about £30. 18th May 1987 a double C.D. was first issued on catalogue number CDS 7 46688 8 with no bonus tracks. Their are two versions of this issue, and the one with the Applo logo included, is worth double the other. 22nd January 2001 a new re-mastered, re-mixed double C.D. AND a new triple album box set is released.